.........its a 'mother board' :-) It makes my brain hurt just to look at it....to think someone actually understands all that. A couple of posts ago I said I was playing around with this image from my garden, with the idea of altering it for mixed media projects. Up to now I've cut out the flower in Photoshop and altered it with different backgrounds and textures. Sounds like the sort of language my husband speaks! He was an electronics engineer and we used to have old sheets of stuff from his works as drawing paper and for shopping lists etc as the backs were plain and I think it is not only another language it is another world as the diagrams were equally incomprehensible! Love the blue flower pic but those black and white ones are great too - make a good wallpaper design. Loving your sketch, beautifully expressive. Lovely drawing Linda - does she need quirkifying? I've never heard of a mother board, and didn't have mothers down as troublemakers! Hope you get it fixed soon. 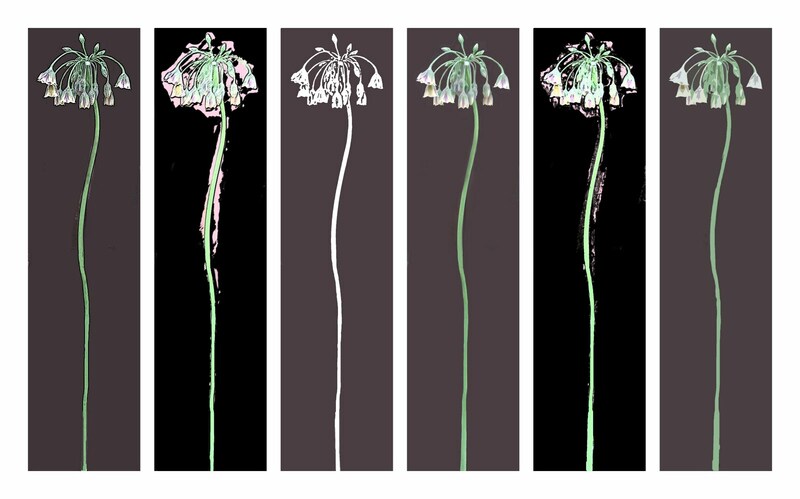 Love the Photoshop variations of your flower - the colours are gorgeous. Wonderful variations of the flower from your garden and look at the little "Prince" off to the right...what a darling...and lovely sketch too. PS. Trying hard to keep away from the Gü-ey Chocolate Torte!! Lovely work Linda! Which tool did you use to cut them out? 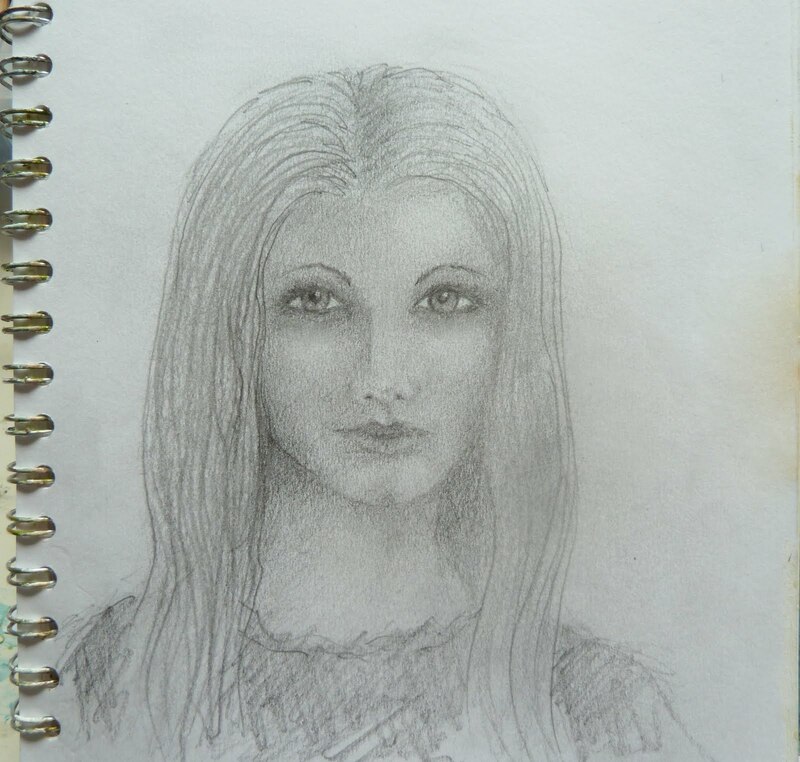 Well done for sketching Linda, it's a lovely sketch. I love what you've done with the flower and I too would love to know how you cut it out and preserved all its intricacies. Linda, you are a true artist. Really! I am so amazed at what you do with a photo, so artistic, so full of feeling, so perfect. Your Pansy Blog Header is breathtaking Linda! It is always such a delight to stop by for a visit. Love your sketch. She looks very pensive. The photoshop pictures are lovely too. Sorry about the computer. Lovely drawing, & that mother board - imagine the wires as stitches, the dots of solder as beads & the shapes as tiles of mixed media - I used board to make a fathers day collage card once - he does understand it! 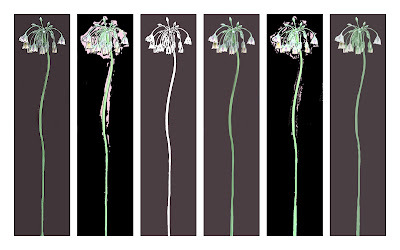 A Thermofax screen is like a silk screen/stencil, a 'burning the image' sort of process.I'm loving it, also your floral images. I love the last one - like a pared down William Morris design. You are so clever with Photoshop, Linda. I love the rainbowy flower! Computers are quite mysterious, aren't they? And so annoying when they don't work properly... That Peachy sure has grown up to be a beautiful kitty. Your sketch is amazing Linda, you really are great with your shading, and I absolutely love what you are doing in PS with that flower, everything looks awesome!!! Okay, so now I want to photograph a motherboard -- and i will - someday! Also love the Photoshop experiments. I enjoy doing that, too. But - I wish I understood - how did you cut the flower SO PERFECTLY from the background???? I do love Photoshop - I think one could easily spend a year just exploring all that Adobe products can do. At any rate, this has been a fabulous post to read and look at. Thanks!